Due to a change to institutional reporting requirements under federal law, beginning with tax year 2018, we will report in Box 1 the amount of qualified tuition and related expenses you paid during the year. The 2018 1098-T tax forms are available online and have been mailed out as of January 24, 2019. Students have access to a copy of their current and prior year 1098-T forms online through their Student Service Center. Click on the Tax Credit tab at the top for more information or view a step-by-step detail of How To View 1098-T online. Refunds for spring 2019 financial aid/over payment began Friday, January 11, 2019. An email will be sent to the student with information regarding if the refund will be sent direct deposit or if the student will have to pick the check up in the Student Accounts Office. Parent PLUS loans that are not released to the student will be mailed on Friday, January 11th if available. Refunds are generated weekly so any aid not yet processed will be issued in the next refund run when it is available. You can view your account from your my.illinoisstate.edu portal. We've gone green with eBill! Students and Authorized Users now view monthly statements online. Click on the link to see How To View Online Statement, for a step-by-step guide. Plan is available December 19, 2018 for sign up. Covers only Spring 2019 charges*. Everyone will be automatically placed into a payment plan. $35.00 Payment Plan Fee charged for the spring if paying monthly. If account is paid in full by March 8, 2019, no payment plan fee will be charged. For more details, see the Billing Information section . If you are needing information on charges, payments or grades to give to an employer, it is available through your Student Account Service Center. Click on the PDF file in our FAQ tab or in our How To Guides and follow the steps. The information gathered in these steps has been approved by State Farm Insurance for their employees. International Students should make payments from foreign bank accounts to their University Student Account via Flywire . For more information on how to use Flywire, please click on this link: www.flywire.com There is currently a scam targeting international students. View more information about this scam here. Remember to never give your Illinois State University account sign on to anyone! If you have other questions about paying your account, please contact Student Accounts at (309) 438-5643. Most financial aid has been posted to your account. 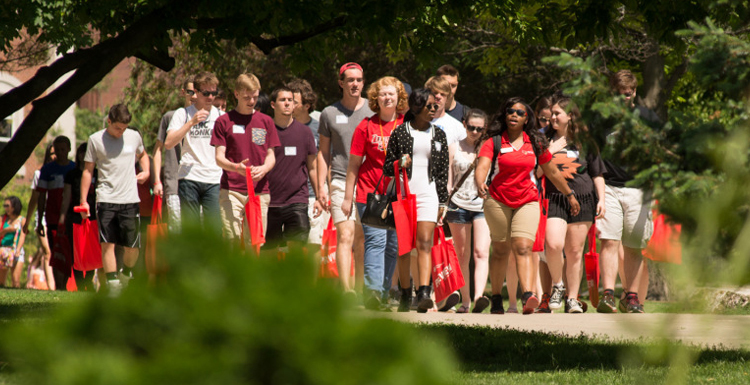 If you seem to be missing an aid item, please review your financial aid online at my.illinoisstate.edu to see if you have any "to do" items in your student service center that need to be completed. Past Due-No ISU Transcript This hold does not block your registration. The hold prevents you from requesting an official copy of your grades from Illinois State University until your account is paid. Visit your Student Account Service Center to review your balance and make a payment. Past Due-No Registration This hold does block your registration. Visit your Student Services Center to review your balance and make a payment. The hold will be released the day after your payment posts. Please call or visit the Student Accounts office if you need the hold released the same day.